Apple on Tuesday announced it is working to bring Apple Pay live in Denmark, Finland, Sweden and the United Arab Emirates by the end of 2017, which if completed would expand the payments service to a total of 20 countries. Mentioned in passing by CFO Luca Maestri during Apple's quarterly conference call for the third fiscal quarter of 2017, the company did not offer estimated rollout dates for the upcoming Apple Pay availability. Maestri did say, however, that all four countries should have access to the system by the end of the calendar year. Apple's regional webpages for Denmark, Finland, Sweden and the UAE do not yet show reference to Apple Pay, suggesting negotiations with banks and credit card providers are at this point fluid. The company typically takes localized Apple Pay pages live when a rollout is imminent. Interestingly, Maestri did not include Germany as an forthcoming rollout country. In February, Apple updated Apple Pay support documents in Germany to include a full translation of the standard "About Apple Pay" document, as well as custom explainer graphics. Follow-up reports claimed Apple might face an uphill battle with German banks that are not eager to cede transaction fee revenues. 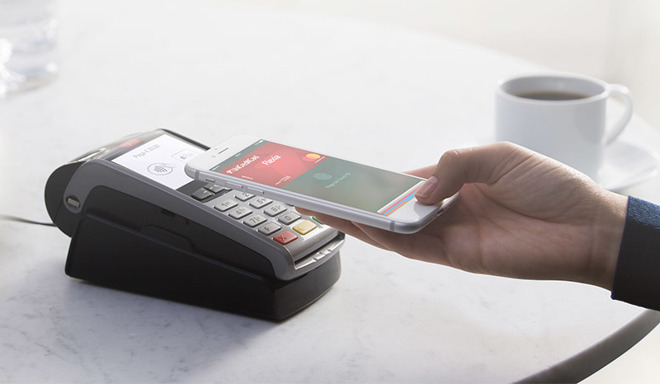 Launched in 2014, Apple Pay entered its 16th region, Italy, in May with support for Carrefour, UniCredit and a card marketed by European prepaid service Boon. Prior to that, both Taiwan and Ireland gained access to the service in March. Apple Pay is getting a major boost with person-to-person payments in iOS 11. The long-awaited feature will allow users to send money to each other using a debit card or, for a 3 percent fee, credit card. Received funds are placed on an "Apple Pay Cash" card processed through partner Green Dot, which can be applied to online or Apple store purchases, or transferred to a bank account.